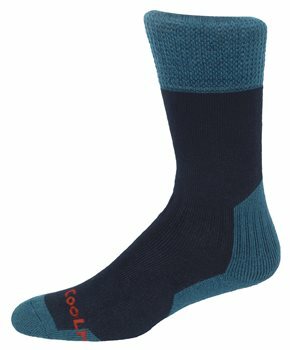 The Hoggs of Fife adventure coolmax walking sock is a technical sock with a wool and synthetic yarn mix, featuring Coolmax. Coolax is a fast drying fibre which wicks away perspiration and therefore leaves your feet cool and dry. This hogg sock has a strengthened and cushioned heel and toe areas and a flat seam finish to ensure comfort. A great pair of walking socks for walking, hiking and everyday wear!